International champions seem to be a theme this year, as Canadian Chris Johnston grabbed the most recent title in pro fishing with his FLW Tour win at Florida's Harris Chain. In addition, Johnston's Canadian countryman, Jeff Gustafson, took 2nd at the same event. Such pushed the tally to over 150,000 U.S. dollars that the two hauled back over the border. 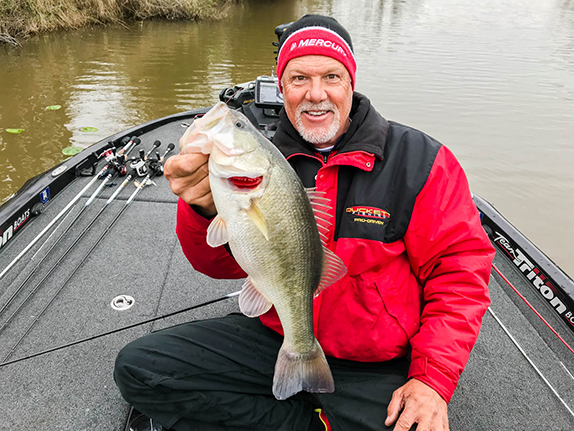 While we've seen numerous champions from all over the globe in the past, perhaps this recent dominance is the most important, as it signifies a monumental shift in competitive bass fishing. Now, the theory has undeniable proof. 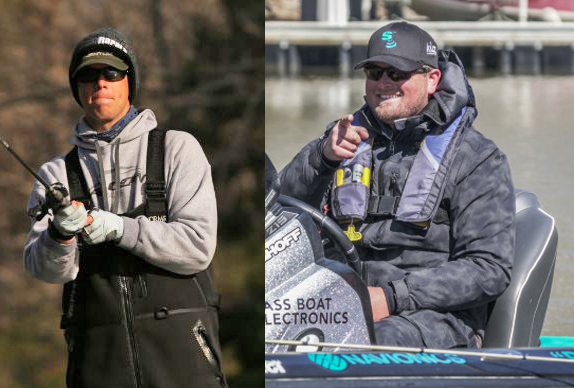 As many regulars here will recognize, I'm hinting toward the shift in success from veteran, experienced competitors, toward younger tournament anglers armed with little more than desire and a revved-up laptop. As we've discussed, we're seeing a general pattern toward information gathering - and sharing - amongst the younger crowd, which is paying off in terms of wins. Along with other members of the media, I first brought this to attention with the college-game dominance of our reigning world champions Jordan Lee and Justin Atkins. But now it seems things have evolved even further. My reason for recognizing this transition as monumental is due to the most recent tournament's location more than anything. As anyone who's ever competed across the country can confirm, fishing in Florida is a whole new ballgame. Oftentimes, some of the most experienced, best anglers in the world fall flat on their faces when trying to solve the Florida puzzle, while lesser-known pros - especially those living in Florida - take down the big dollars. There are likely several reasons for this. First, of course, is the supposed complexity of Florida fishing and the immediate jinx it seems to place on competitors who buy into it. From there, we can investigate the shallow, grass-filled habitat and understand how that may overwhelm a guy from, say, the Ozarks. But what likely leads most anglers to a poor Florida finish is the misunderstanding of the environment itself and the incredible impact of fishing pressure. While I've spent a great deal of time sampling and comparing the bass fisheries from the North to those of Florida, I can say that - while Northern bass aren't necessarily easier to catch - they are in a much bigger hurry to eat. 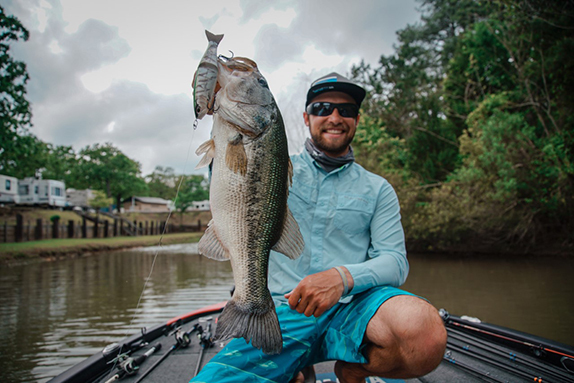 For the most part, Florida bass seem to demand proper environmental conditions in order to feed, as if knowing that, as long as they wait long enough, those conditions are sure to come about. In addition, those same bass are fished for without rest year-round and that makes a big difference in their eagerness to bite. The Harris Chain is a premier example of Florida waters frothed into oblivion nearly every day throughout the winter by tourists and tournament anglers alike; quite a difference from bass in, say, Canada, that may only get fished from June through October. So therefore, after review of the complexity of the bass fishing game in Florida, and understanding how it regularly baffles some of the most experienced tournament anglers in the world, and recognizing how completely different it is from many areas of the North, I must ask: How in the world do a couple of Canadians drive 18 hours and beat guys like Glenn Browne, the McMillan brothers, Larry Nixon and Anthony Gagliardi? The answer lies in the shift. First off, let's be clear: the Johnston boys and "Gussy" Gustafson are far from rookies. Each began their competitive careers at a young age, and has put their time in fishing various circuits across North America. None, however, have one iota of experience in Florida when compared to the others mentioned. Therefore, we must trust that their overall approach to the game has evolved to a point where it can be counted on to be a relevant recipe for success, one that we continue to see repeated across the board. But which aspect of the details gets the greatest credit for championship success? Is it pre-tournament research, networking with buddies in practice, or the all-in approach to a competitive career, sacrificing every other aspect of life? All these variables and more are responsible for this success. It's one we're seeing repeated over and over in competitive fishing, and one that will completely change the way every competitor approaches tournament fishing. Because the writing, you see, is on the wall - more now than ever. Adapt, or fall to the back.